The top “destination on the rise” in the United States for 2015 is right here at the Jersey Shore, a popular travel site announced. 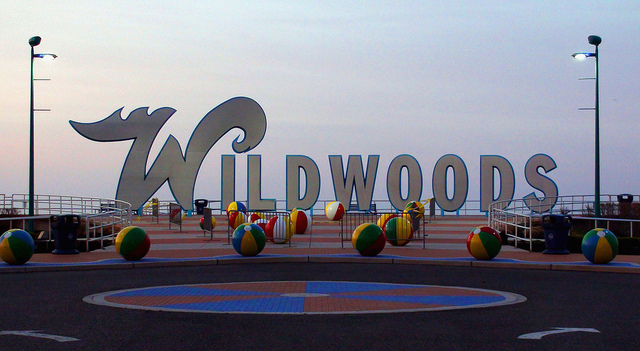 The Wildwoods, comprised of four municipalities along the Five Mile Beach barrier island in Cape May County, earned the top spot on the TripAdvisor list, beating out destinations like Nags Head, North Carolina and Telluride, Colorado. The southern Jersey Shore destination has seen the greatest increase in positive feedback and interest from the site’s community year-over-year, according to a TripAdvisor release. “It’s is a tremendous honor to be recognized as the number one destination on the rise in the United States for 2015 by such a prestigious world-wide website,” said John Siciliano, executive director for the Greater Wildwoods Tourism Improvement and Development Authority (GWTIDA). The travel site allows users to post reviews on various attributes, such as accommodations, restaurants, and attractions. “Everyone here works tirelessly to make the Wildwoods one of the country’s most popular family vacation destinations, and we are grateful that our work is paying off for our visitors, who then share their positive experiences online to encourage others to come make similar memories with their families,” Siciliano said.